Feeding sugar syrup to honey bees now a days is something I only do in emergency situations, and that’s only when I have no honey to feed bees. According to a study I found bees live up to 20% longer when fed honey compared to the next best substitute feed, of which is sugar cane granulated sugar syrup, All other substitute feeds, even those containing additives and corn syrup were even worse for longevity, shortening the bees life. So, what can I feed the bees I keep? Honey & Pollen!! Plain and simply, honey and pollen are the very best food for the bees longevity. 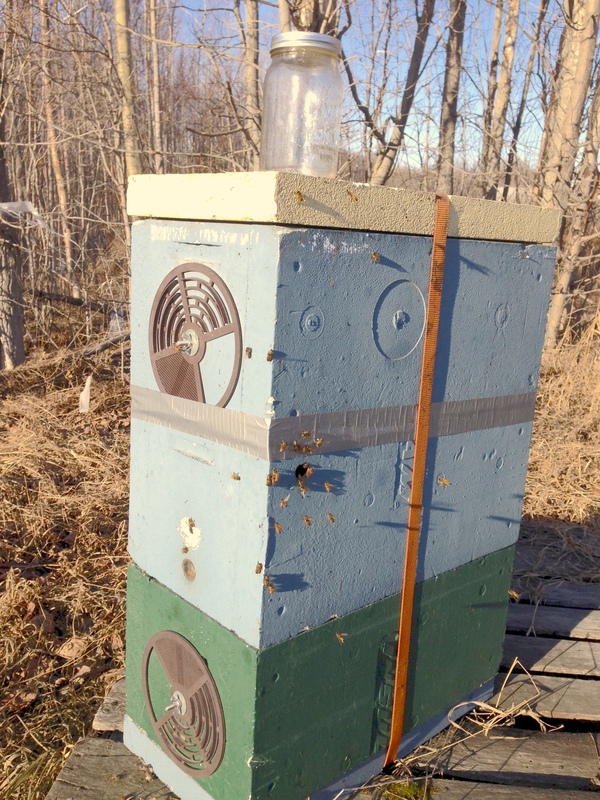 Bees in Alaska need to endure some of the longest winters around the World. I make sure they have plenty of honey to live the Winter, and hold back on selling all my honey incase feed back is necessary. All I do is invert a jar of honey from my apiaries, or from an owner of an apiary that I trust. I would use honey from beekeepers that follow the same guidelines I use for keeping bees which is using no treatments of any kind, zero. I do not want my colonies, or their homes, to be contaminated with anything foreign to the beehive. This list includes essential oils, acids, chemicals, Botanicals extracts, proteins, enzymes, antibiotics, pollen substitutes, etc, and curtailing sugar syrup to only emergencies when nectar or honey are not available. Usually there is honey to feed, if not I can buy some. 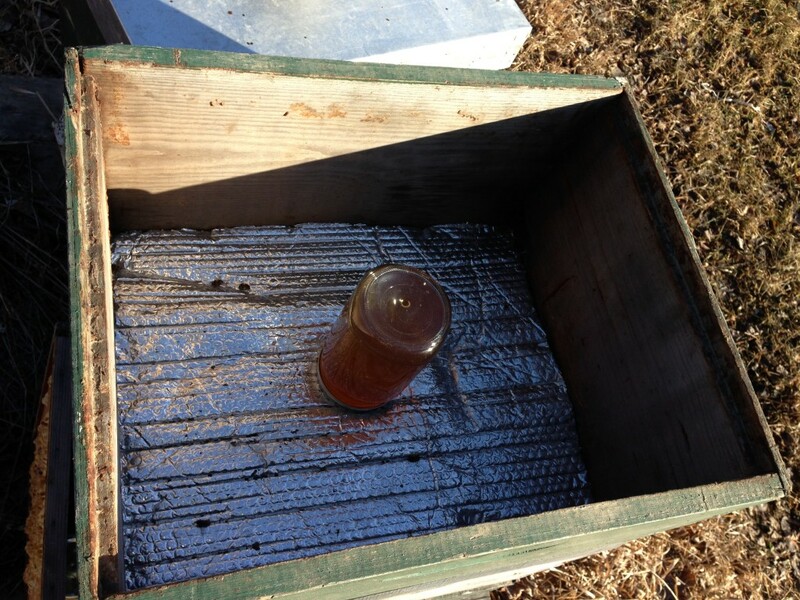 In the spring if hiving on foundation, I recommend feeding sugar syrup in the beginning about three weeks or so, to help them draw wax comb. Later if there is a strong flow you can stop feeding, or if the weather is rainy you may need to feed so they can continue building comb. The first year is pretty ruff for feeding. 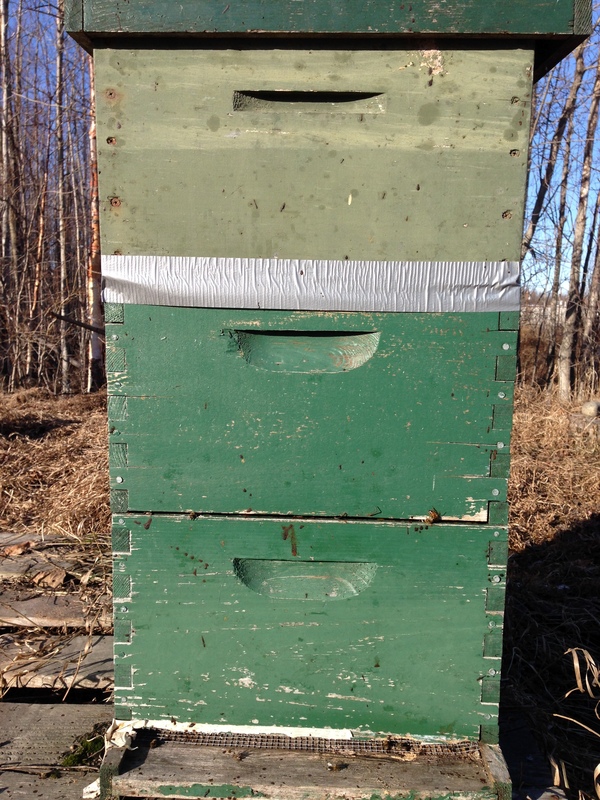 Best case is to get them on real honey and pollen as quickly as you can so they can have a better chance at wintering in Alaska. Healthier gut & Brood, Nectar and honey are of a low acid PH (3.2 PH – 4.5 PH), sugar syrup is higher in the range of 6.0 PH. A higher PH allows pathogens to pass through the gut undigested to infect larvae. Bees live longer. Living longer will allow for faster build up of colonies. 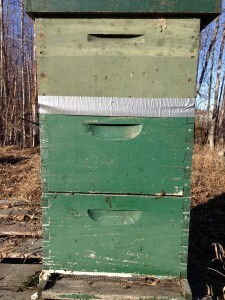 Long lived bees enables bees to make our long Alaska winters. This in part will help bees survive long winters. Healthier Queens, Queens developed during good nectar flows will live longer so they can head up colonies for much longer. Healthier and stronger workforce for foraging and industry. Clusters come out of winter into spring vigorous and eager to build up. One complaint I get most about wintering bees is the lack of vigor in the spring resulting in an unviable colony. Could this be because sugar syrup was used to winter the bees over. It used to be that way with the bees I tried wintering in the past when I used to feed sugar syrup. I find bees with no dysentery in the spring now, and eager to build up with honey as feed. Here is what Mike Bush says about feed. Go to this page in link below too, to read even more concerning Feed and PH. 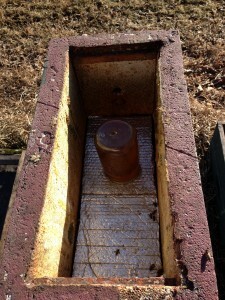 Here are some photos of my bees being fed. 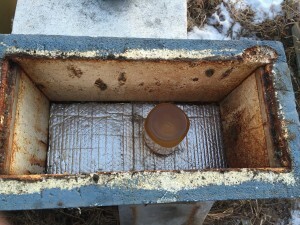 Above and below are a few colonies set up for feeding in the winter. 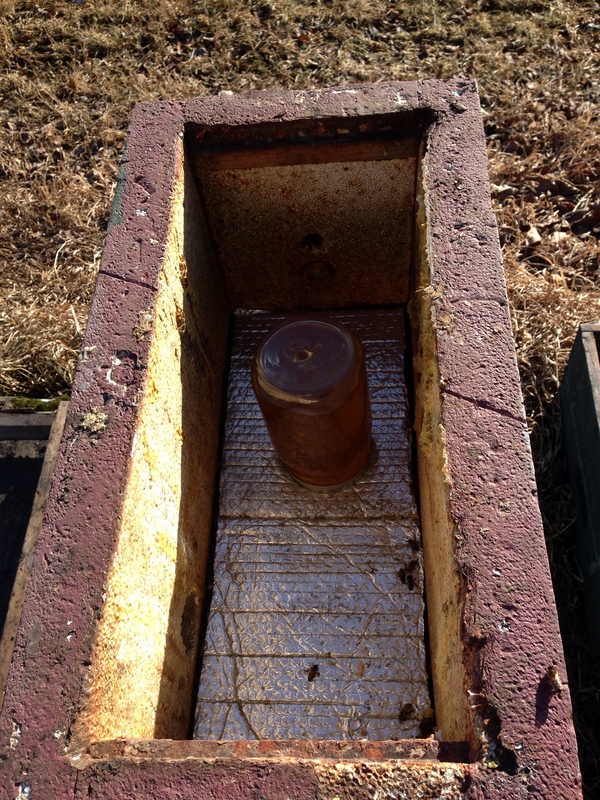 Below are a couple hives set up for feeding, with top on.